Tateru Nino reports over at Massively that Linden Lab is facing a couple of new lawsuits. The latest, Evans et al vs. Linden Lab, has some echoes of the infamous Bragg vs. Linden Lab case. As with Bragg, Evans and his fellow plaintiffs are proceeding against Linden Lab on the basis of having their accounts terminated and their assets (land, content, Linden dollars) seized. Further, they are being represented by Jason Archinaco, who represented Bragg in 2007. And in a final twist, the case is set to be heard by Judge Eduardo Robreno, who heard the Bragg case. Evans et al have commenced a class action against Linden Lab and have put up their own website. The crux of the filing calls into issue statements made by Linden Lab representatives – Philip Rosedale being primarily named – relating to the concept of land / goods ownership which are at odds with core clauses of the current Terms of Service, which effectively deny users’ ownership of anything but IP rights. The action also relates to the manner in which the ToS has been altered over the years – up to an including the forthcoming new ToS due to come into force on the 30th April, alleging that it is akin to altering users’ title without consideration of the consumer’s knowledge or consent. As Tateru notes, Archinaco is well versed in the minutiae of legal actions against LL, having trod the road very thoroughly in 2007; therefore it is unsurprising that parts of this action strongly echo claims made during that case. At the time, while there was a confidential settlement, it was viewed that Robreno was broadly sympathetic to Bragg’s position and ironically, it was his holdings on the matter that lead to LL re-wording the ToS (and thus possibly contributing to the current situation) – so having both involved in the Evans et al case makes it an eyebrow-raiser. During the Bragg case, Robreno agreed with the plantiff’s position that that ToS was a “contract of adhesion”. He further noted that the mandatory arbitration process within the ToS was also unbalanced and unilaterally favoured Linden Lab. As such, many pointed to the Bragg case as being a seminal case in matters relating to virtual worlds and virtual property rights. However, Robreno added a significant caveat to his holding on the case: that the ToS could be regarded as a “contract of adhesion” inasmuch as Second Life was effectively a monopoly service: in 2007, there were no competitors to which users of Second Life could turn. It could be argued, with some OS Grids starting to offer their own currency systems and having offered land “purchase” schemes for some while, together with the establishment of OpenLifeGrid and the the growth of Blue Mars, et al, that the monopoly situation no longer applies regardless of the technical state of such environments. That said, the papers filed on behalf of the plantiffs present a curate’s egg of a case. As such, the action is being filed under (among others) the Californian False Advertising Act and the Violation of Legal Remedies Act, and Archinaco does build a pretty solid case to be answered in the former, although he seems to rely heavily on Bragg vs Linden Lab in the latter – and as noted, times have moved on since 2007. While I acknowledge I’m not a lawyer, the inclusion of the Californian Unfair Competition Law might not be as effective as it might have been had this action followed directly on the heels of the Bragg case (at least for Evans’ fellow plaintiffs). Elsewhere, the papers make some rather contentious claims, possibly to support the charge of fraud and/or fraud in the inducement. Notably, the papers contest that Second Life as a whole has been “open sourced” so that (quote): any individual can simply hook up their own server to the Linden “platform” and create their own land, which has resulted in the long-term devaluation of all the land purchased by consumers to zero. This is hardly an accurate statement: as a platform, Second Life remains closed, only allowing third-party clients to connect to it – not privately owned servers. As such, this is a shaky foundation upon which to build a case for Linden Lab fraudulently manipulating the land market for the benefit of their shareholders. The papers also seek to make a case that buying virtual land is the equivalent to “investing” in LL as a company, and that moves were made to devalue land in order to maximise shareholder profits at the expense of said “investors”. 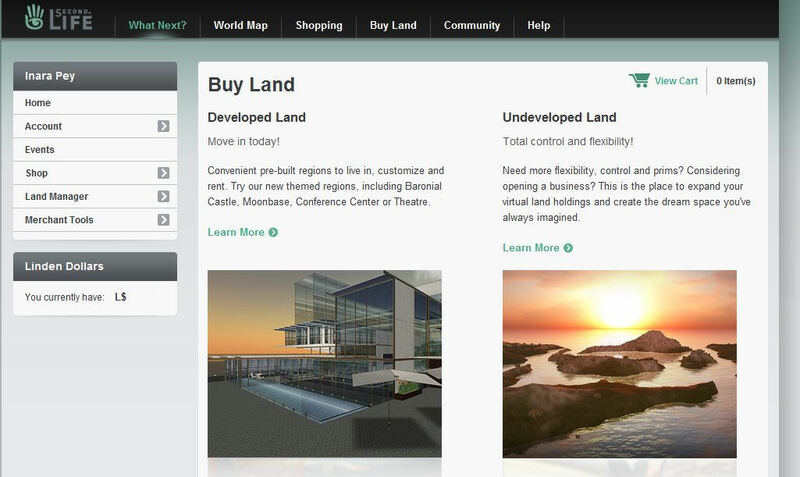 This would again appear to be somewhat contentious: by no stretch of the imagination can the “purchase” of virtual land been seen as an open “investment” in Linden Lab as a company; this is akin to claiming that by using server space to host a website, you are “investing” in the ISP providing the server space with an eye to sharing their profits…. But these wider accusations towards Linden Lab aside, the central thrust of the lawsuit would seem to carry significant weight, and the well-documented references to statements from the likes of Philip Rosedale and others would seem to put Linden Lab in a corner – one which, as Tateru notes, may not leave them in an adequate position to settle. That said, one cannot help but wonder if settlement might not be on the minds of the plaintiffs. That some of them have waited some 4 years to file against LL, having had their accounts terminated in 2006, and have now done so on the eve of what is a major re-alignment of policy within the ToS does leave a question mark hovering over their motives. It is going to be interesting to see how this unfolds. Previous Post TPV: brown bag and changes?